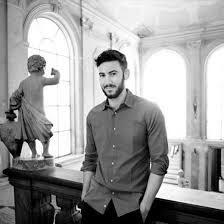 Martino Di Napoli Rampolla, graduated in Fashion Marketing and Communication at the Polimoda Fashion Institute, is a talented Graphic Designer and a young entrepreneur. After he worked for two years as a graphic designer between Barcelona and Ghent (BE), in 2015 he founded “Numeroventi”, a contemporary art residence in Florence, designed as an international center for art and design. Martino is also specialized in Business Coaching and Infographic Design and currently works as a freelance consultant all around the world.